Folks, I have been a bit busy over the past couple of years transforming my own mobile experience by retro fitting my living space with more "internet of things", aka making my home smarter. Bottom line is that Smartphones are better, and faster than ever, however it accomplishes nothing without other smart appliances to interact with. A smarter home empowers anyone to control and manage their house while all the way across the world (see my Project Fi International Data rave here). 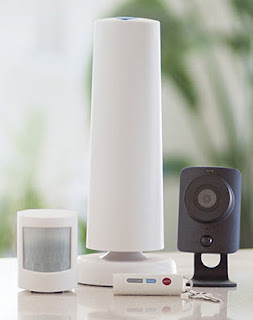 Few days ago, I shared my experience connecting NEST products throughout the house, today, I will be going over a cool wireless security system called SimpliSafe. SimpliSafe is marketed primarily as a security service, competing with the likes of BRINKS or ADT security. But oddly, I am considering it as a smart home play largely because of its wireless capabilities and mobile control. It is very simple to install and operate. No need to bring in a telephone wire or deal with professional installers. You can literally set up a system within minutes. Lets begin. The low setup and operating cost of SimpliSafe is probably the number one reason why I chose this system. You can design a system a-la-carte and it can be as simple or as complicated as you want. 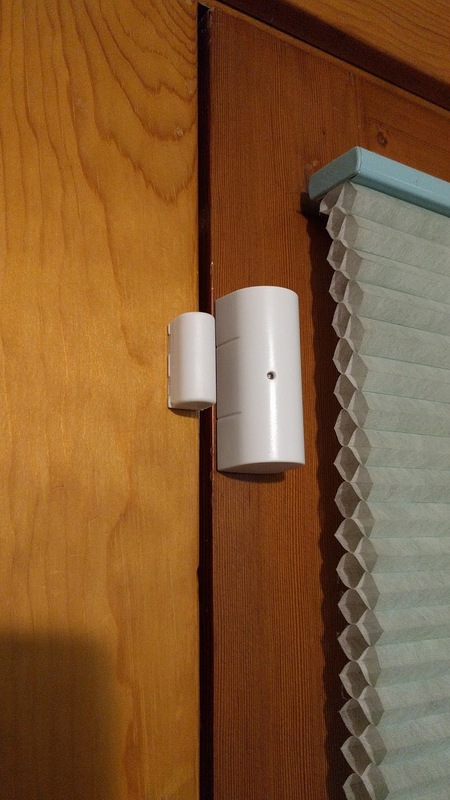 Pick and choose from various sensors for: Entry, Windows, Water, Temperature, Smoke, Carbon Monoxide and Camera. Everything is powered by a lithium battery that should last for 3 years (more on that later). There is no contact or upsale here, just buy what you need directly from their website. You can also buy more sensors down the road if you ever need more. As far as monthly cost goes, plans start at $15/mo for basic security alarm. If you go up to $20/mo, they will monitor your system via a call center just like all the rest of systems out there. Add another $5 to the mix at $25/mo, you will receive real time alerts via SMS. For me, thats the way to go, and $25 is often a fraction of what established security company wants. This part is beyond easy, no drilling or wiring is involved and works practically with any house or apartment. You begin with the base station and a keypad. 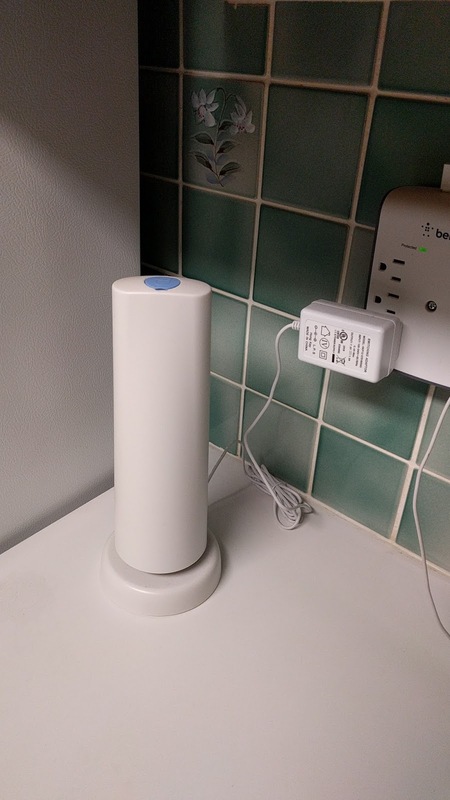 The base station is the only thing that is required to be plugged in to an outlet, but it has a backup battery good for 24 to 48 hours of run time if power is ever out. Everything else (sensors, keypads, remotes) are battery powered. Simply pull off the battery tab, peel off the double sided tape and register it online within your account and the installation is complete. If you are concerned about the adhesion of the tape, they also include some small screws for you to mount the sensors more securely. The SimpliSafe website is the main control panel to your system which allows you to configure all the details (ie. passwords, sensor settings, alert email addresses, 2nd user contact info, guest login, etc.). It also keeps a nice log of all the events such as when alarm went off, or if it lost contact with a sensor, etc. The mobile application is nothing fancy, in the earlier builds, I find it to be a little buggy but its gotten better. When it was buggy, I just logged into their website from my smartphone browser which worked but less thrilling. 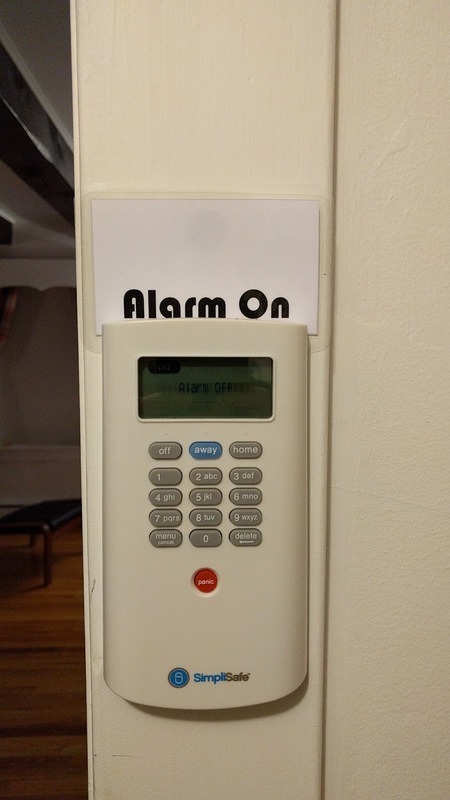 This alarm system works pretty awesome. It does a great job at what its suppose to do and I feel good about having it around. The system works with NEST and since I have some Nest Cams, the two systems really compliments each other as a complete security solution. Just like traditional systems, I have can arm it while I am out (AWAY mode) or at home (HOME mode). 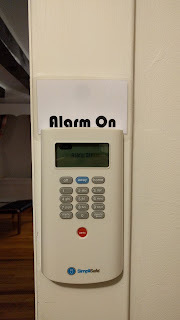 Each time we accidentally triggered the alarm, I always receive a call from the call center immediately. I like the SMS alerts especially for while I am away from home to know if other family members are home. 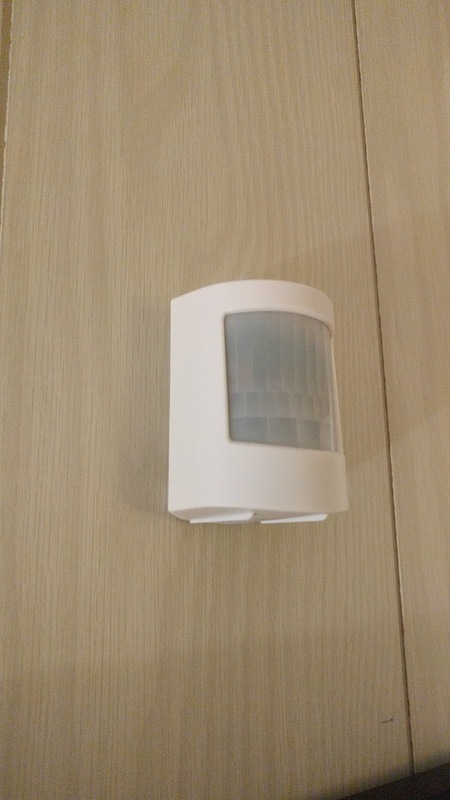 The website gives you additional information like if a door is open or window is open because of the sensors as well as the in home termperature monitoring. Again for anyone with no smart home integration, having this system will give you a basic level of information about your home without much work or configuration. In terms of any downside, I do have a few minor points to gripe about, if they can improve upon these, then the system can be perfect. Overall, as a security system, I am very pleased with SimpliSafe, I think the it accomplished exactly what its founders set out to do, which is giving people the power to own an affordable/flexible security system/plan. The bonus here is that it somehow turns your home into a smarter home without trying too hard; at the time of writing, they just launched a new web cam at $99 to be added to the security system but it does come at a cost of $5/mo subscription fee per camera which can add up. Overall, I would highly recommend this system to anyone out there.